Are you tired of the traditional natural straw cowboy hat? Looking for some exciting, fun, bright, spring colors to spice up your wardrobe? 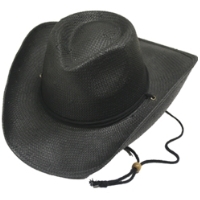 Then our Toyo straw cowboy hat is just what you need! It comes with the U-Shape-It feature and also has an inside stretch band to fit most head sizes.